Great song--another Jimmie Dale Gilmore fan out here in the wilds of Idaho! & a beautiful sunflower, too. What a wonderful little poem and beautiful picture. I'm going to have to remember this. 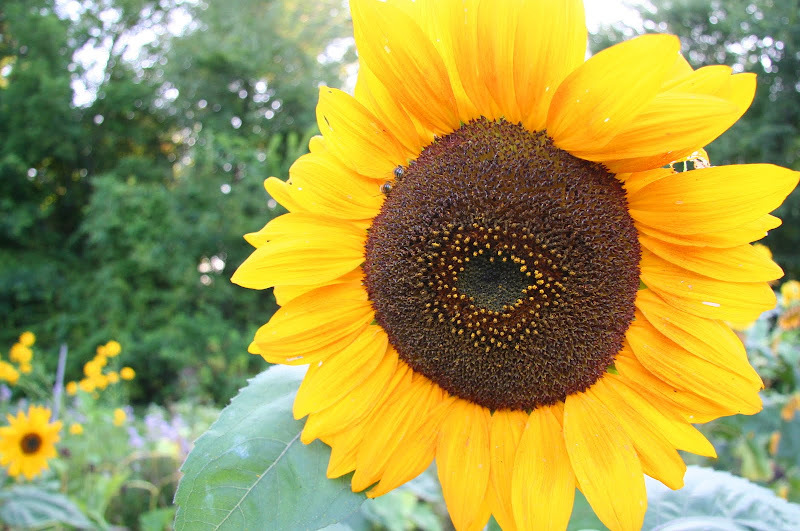 what a completely gorgeous sunflower! Listening to the song, I couldn't help thinking how much living had to go into the writing of those four minutes and thirty-seven seconds of playing time. As sung by Jimmie Dale Gilmore, it sounds like a pretty hard thing to hear - but I guess everybody gets served a variation on that theme at one time or another in their life. Gorgeous sunflower, and Shel Silverstein sure has that right. Kimy, I love Jimmy Dale. I'm a huge fan of The Flatlanders. how great to hear that there are other jimmie aficionados in my bloggyhood! jimmie's son, colin is also a talented musician and singer-songwriter - if you enjoy jimmie, make sure you also check out colin gilmore. there is just something magical about sunflowers!